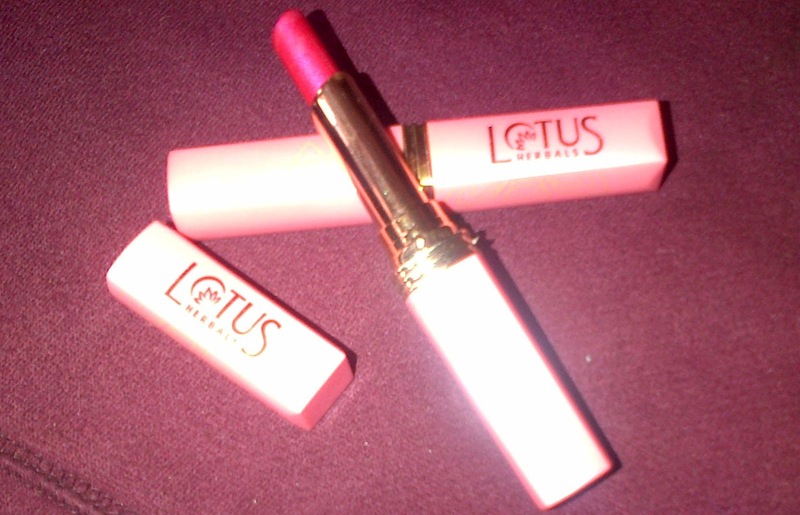 A luxurious lipstick that takes care of health of your lips, while enhancing looks & imparting intensive colour. Stays day long and protects lips from UV rays thus preventing darkening of lips. Long lasting lip color enriched with botanical extracts of Aloe Vera and Avocado. It lasts for hours with zero touch-ups. The SPF-10 formula provides complete protection from UV rays, preventing darkening of lips. Availability: Easily available in all Beauty Stores and in E-Market. Shade: The product is available in 10 shades of pinks, maroons and browns. 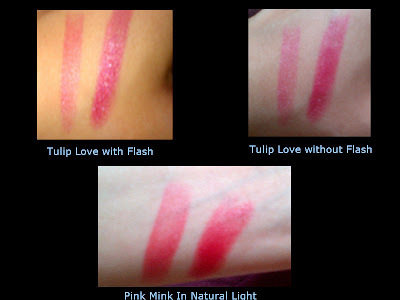 I purchased the shades Pink Mink(416) and Tulip Love(417). Both the shades brighten the face and would suit all skin tones. Pink Mink is kind of red that doesn't scream "Look at Me". It's a combination of Coral red and Pink. Anyone hesitating to try red lipsticks should definitely begin with this shade. Tulip Love is my favorite and is a bright pretty pink. Texture: Matte, non creamy and no shimmer lipstick. 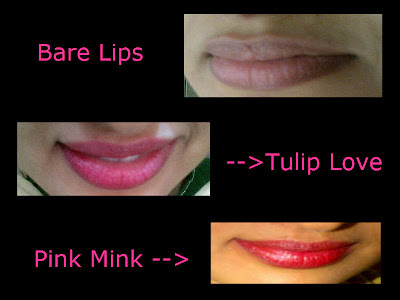 The color spreads equally well on dry and also moisturized lips. Lasting Power: The color stays intact for 4 to 5 hours with light snacks. With heavy meals the color fades away leaving stained lips. Mositurization: Nil. 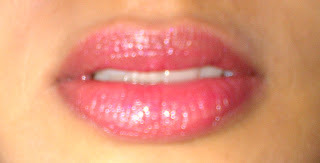 So always apply the color on scrubbed moisturized lips. Else it will settle in fine lines. Fragrance: It has a faint petroleum smell of a typical lipstick but once on lips it's odorless. Packaging: Outside packaging is sturdy and sleek to fit in purses. But the metal encasing the lipstick in kind of cheap. Ingredients List: The active ingredients given are Aloe Vera and Avocado. But I never felt any repairing, soothing sensation indicating the presence on these ingredients. So this lipstick being herbal doesn't make any difference. 2 3 swipes gives full color but dried lips. 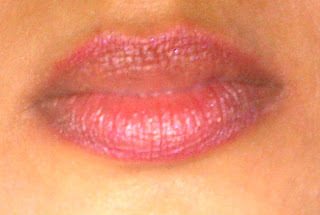 Overall Efficacy: Very reasonably priced long lasting lip colors. If all you want is just color then get these without any second thoughts. I personally don't prefer drying lipsticks so NO for me.